Tucked away just north of Lake Balaton, in an area reminiscent of the Italian countryside, lies a picturesque village, inviting all to admire its unmistakable needlepoint basalt peek. This village is Monoszló. 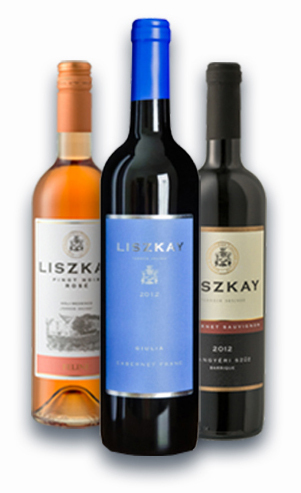 The 10 hectares Liszkay Vineyard Estate and its 350 year old wine cellar produce high quality red wines. They regularly excel at prestigious contests, with gold medals to show for their dedication to their craft and passion for making fine wine. The Liszkay Wine Estate is also a perfect location for exclusive weddings and corporate management gatherings up to 150 people. The seclude environment attracted on famous personalities for weddings and special events. You will find perfect harmony and comfort in the midst of pristine, breathtaking wine lands.